Josef Albers was well known for his experiments with color. He emphasized that the perception of color is affected by the colors around it. 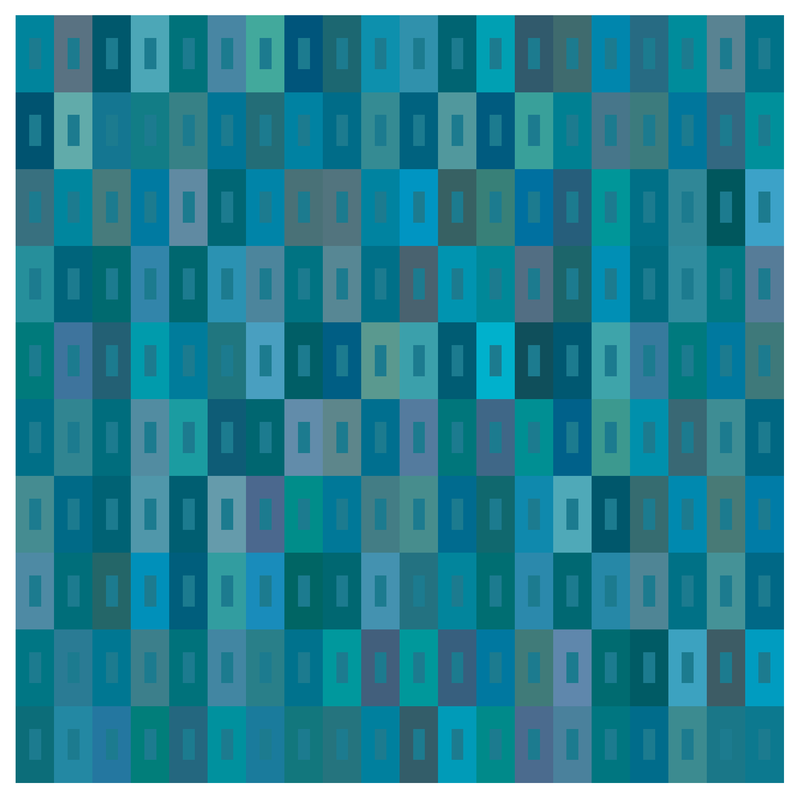 Albers designed images like this, where all the smaller rectangles are the same color. Yin Yang IV combines a stylized yin/yang motif with an Albers-inspired color scheme. 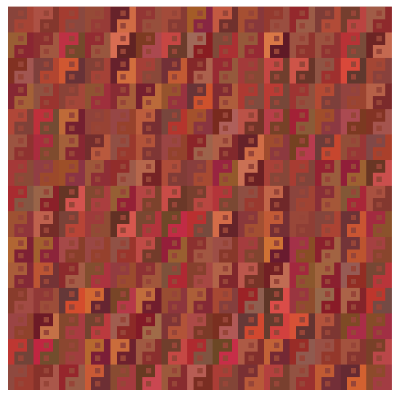 All the smaller squares are the same color. Yin Yang IV, 8" x 8"